Type: Lithium-Ion. Voltage: 3.7 V. Capacity: 1100 mAh. Height: 49.5 mm. Width: 37 mm. Depth: 5.5 mm. Price: £17.50. Postage and packing included. Fits: COWON iAudio M3, COWON iAUDIO X5, iAudio X5L, iAudio X5, iAudio X5L, iAudio X5V, iAudio M5L, iAudio M5 (20G) JNC SSF-M3, JNC SSF-M3 20G, and more. This SFM3 Lithium-Ion MP3 battery fits several Cowon iAudio and JNC SSF MP3 players. 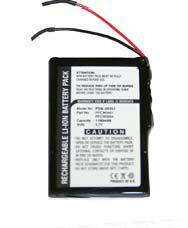 It is a DIRECT replacement for the PPCW0401, PPCW0504 series battery. Replacing this battery requires some installation skills - open player, take out old battery, small bit of de-soldering and re-soldering, new battery fitted, job done. This SFM3 battery comes with a one year manufacturer's warranty.